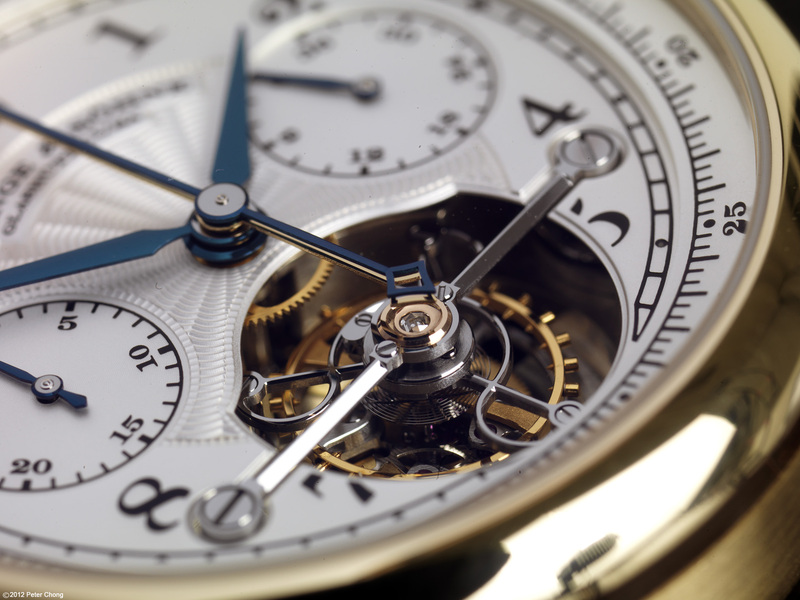 The Lange Tourbograph is one of my favourite watches of all time...the complication is exquisite...a fusee chain tourbillon with split seconds chronograph. 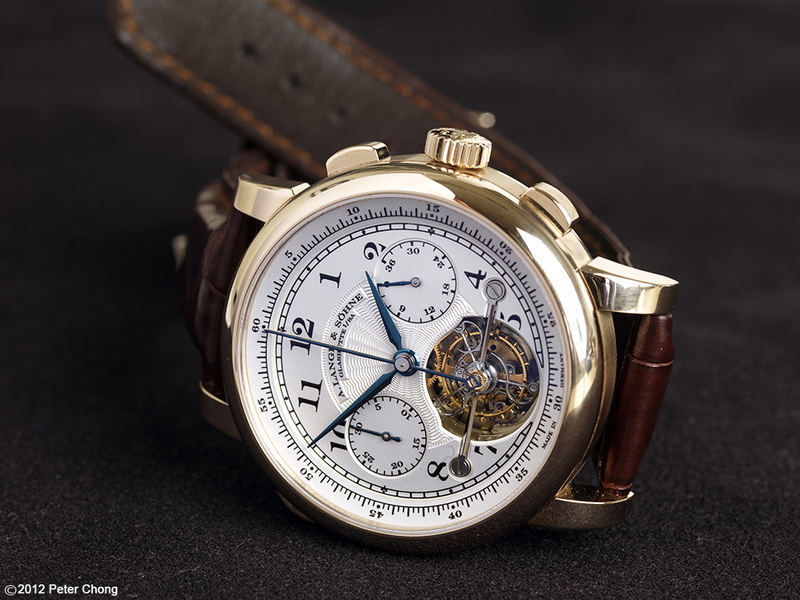 Created initially to be launched in 1994 together with the other iconic timepieces to showcase the new A. Lange & Sohne, this watch was so complicated, that it was decided to delay the initial showing. 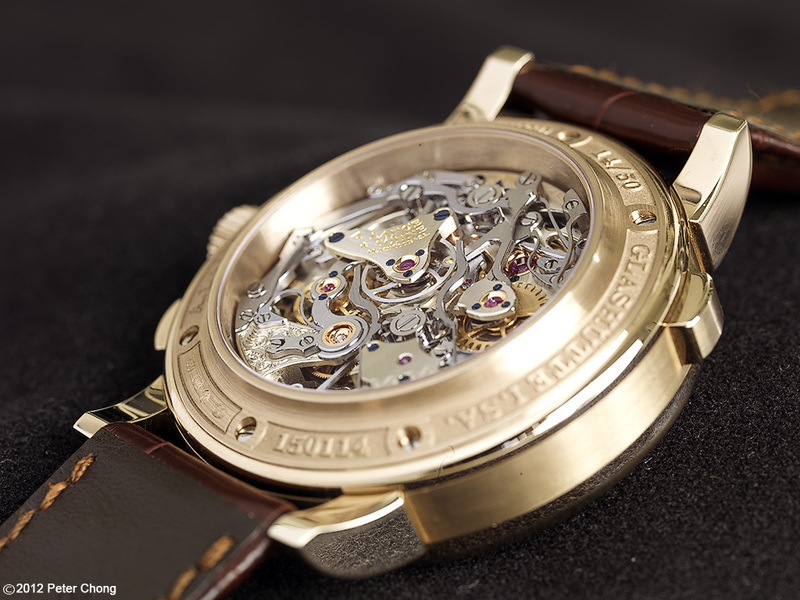 It was finally presented to the public in a special event, held in Meissen in 2007. Initial offering was to limit the total production to 101 pieces. 51 pieces in platinum were offered in 2005 and the remainder 50 in honey gold in 2010. I cover the watch, its movement and the developmental history in much more detail in my book: A. Lange & Sohne: The Pour le Merite Collection. Available by clicking here.